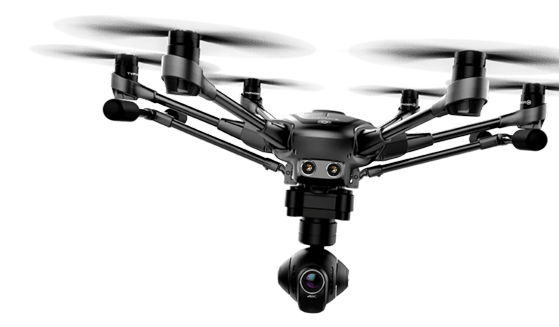 The competition between the leading Chinese drone manufacturing, DJI and Yuneec, is getting fierce. Both companies offer a range of excellent ready-to-fly camera drones that are packed with technology and are priced reasonably for amateur and professional photographers and videographers. 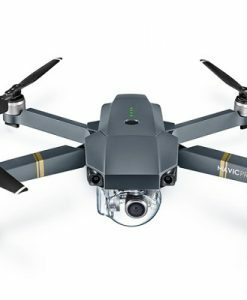 Nipping at the heels of DJI’s most advanced pro-am camera drone yet, the Phantom 4, in June 2016, Yuneec released the Typhoon H, a sophisticated flying camera that has several unique advantages over competing quadcopters. 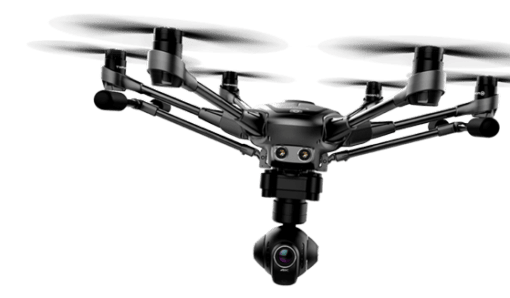 I recently had my first opportunity to review Yuneec’s latest “Phantom Killer”… so let’s see how it compares. 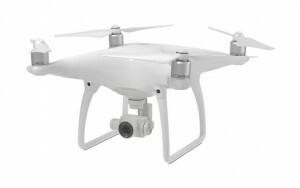 The DJI Phantom 4 is the Typhoon H’s closest competitor in terms of price and features. 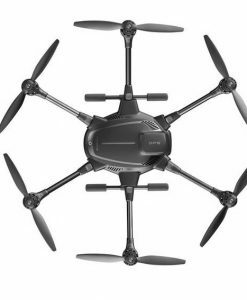 Honestly, though, on features & price these two drones are very evenly matched. Camera quality is about the same, too. 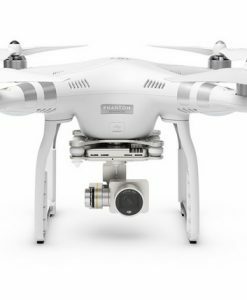 If you need live video feeds beyond 1000 meters, then the Phantom 4 is your only choice. If you want a safer, more configurable flying 4K camera, however, the Typhoon H is the better choice. The ST16 transmitter is an improvement over the one shipped w/ older Typhoons. The included 7″ Android-based 720p display is larger and brighter and works in direct sunlight. To fix the glare problem of earlier models, the ST-16 comes with a sun shade that works pretty well, although I’d suggest putting a towel over your head if you’re at the beach or near the slopes. The ST-16’s user interface is excellent. 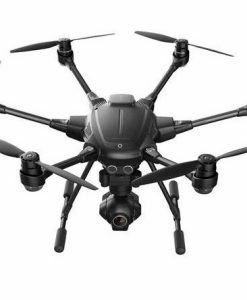 I’d say it’s as good or better than DJI’s, very responsive and intuitive. 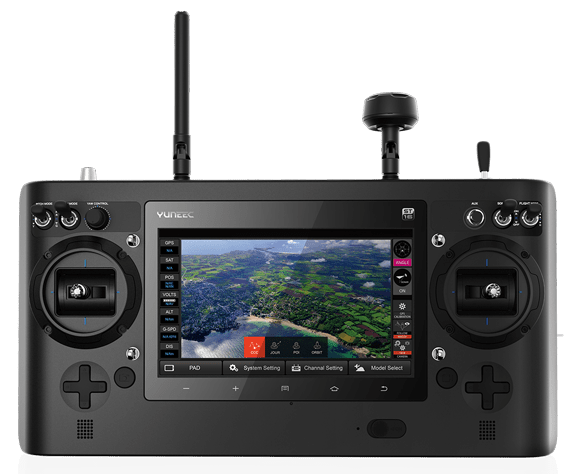 You can control all flight parameters and camera/video settings easily using the touch screen. I also appreciate the haptic feedback the unit provides, especially when the batteries are low. The unit vibrates in your hand, like an XBox controller. Very cool. 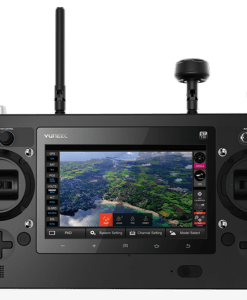 The really nice thing about the ST-16 is that the flight control settings can be tweaked easily, and you can save multiple profiles for a single aircraft, for example, Sporty/Aggressive and Soft. The Typhoon H comes with a couple of presets to start with. And, yes, there’s an HDMI output on the controller for use with FPV goggles, etc. In this 20-minute video, Simon Newton of OnTheKitchenTable.com (outstanding resource) walks through just about every feature of the ST-16. 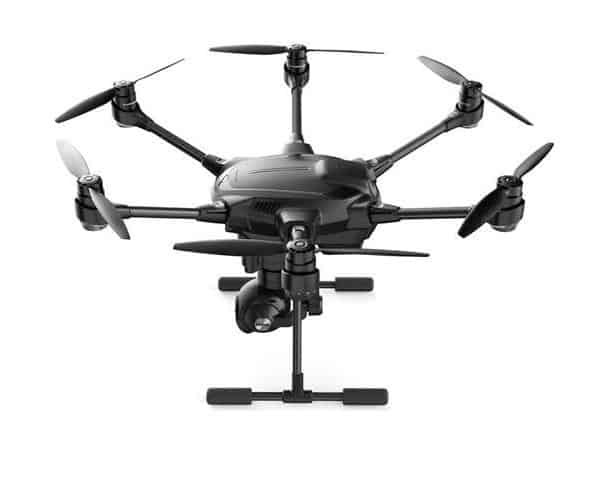 The Typhoon H comes equipped with an upgraded version of the CG03 integrated camera-gimbal. 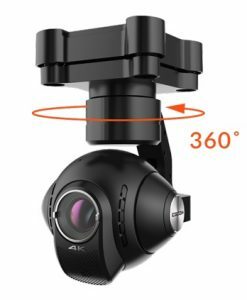 It takes high-quality, stable, 4K video, excellent 12 megapixel still images and can be rotated through an unlimited, 360° range of motion. The CGO3+ gimbal camera has a 98° field of view, includes a wide-angle lens, and offers a ton of camera settings that can be adjusted via controller, while in flight. Unfortunately, the images shot by the CG03 setup are not automatically geotagged. 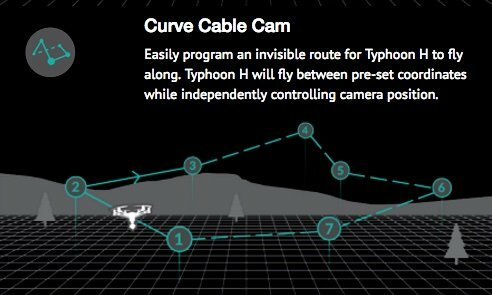 The Typhoon H automatically retracts its landing gear after takeoff, freeing the 4K orbit camera to shoot in full 360 degrees, unobstructed. 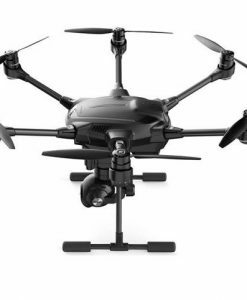 Unlike most other drones this price range, this means the Typhoon H doesn’t have to be maneuvered to get the gear out of the shot. Just pan the camera. For operators used to flying and shooting, this feature may not seem that important. 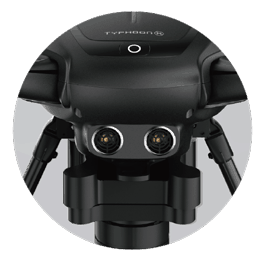 But a 360-degree camera makes cable-cam & waypoint-driven shoots a lot easier to plan and execute. 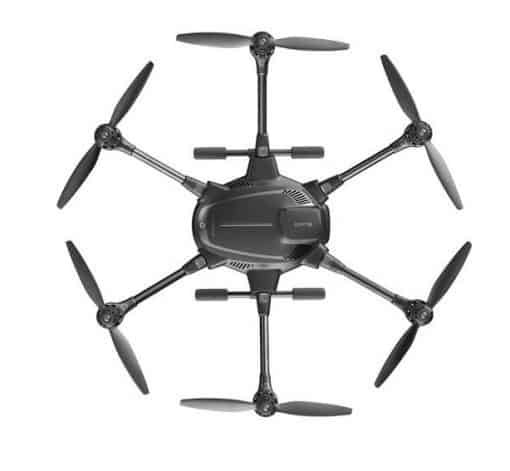 The Typhoon H’s 6-rotor design means (according to Yuneec) that it can lose one motor or one prop and still make it back home. Not only does this mean you stand a better chance of not crashing & losing your investment, you may also avoid crashing into a crowd. 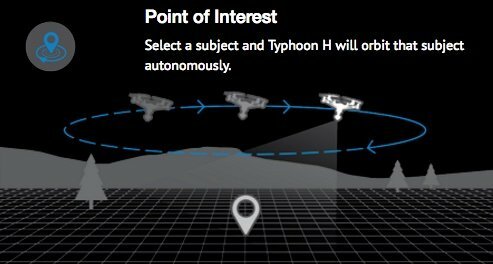 Out of the box, the Typhoon H comes with built-in front-facing sonar to assist with close-range object detection. 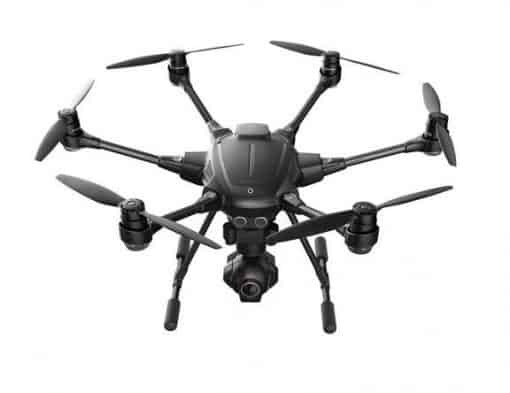 In addition, the platform can be upgraded with Intel Sense Technology 3D to take advantage of visual collision avoidance, a feature that the Phantom 4 comes with, out-of-the-box. Journey mode is a simple automatic take off + selfie shot. 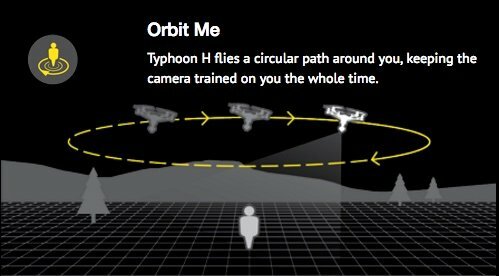 Using Orbit Me, the Typhoon H will orbit the controller/operator in a wide circle, even if you’re moving. Orbit any GPS point you select. Note: this is not the same as the Phantom 4’s Object Tracking feature, which lets you select an image in the viewfinder and follow it. 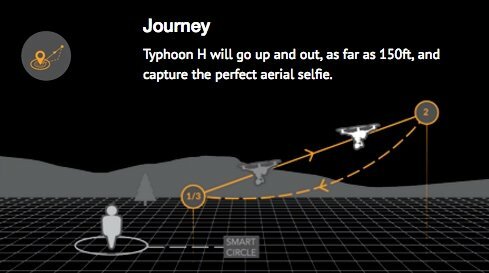 Instead, with the Typhoon H, you must supply a GPS coordinate. 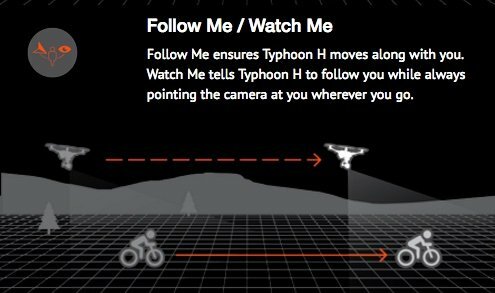 This is probably the Typhoon H’s best feature. Using CCC mode, you can fly an imaginary cable line made of preset GPS coordinates & altitudes. There’s also a Reverse mode that lets you immediately turn around and run the same course, in reverse. 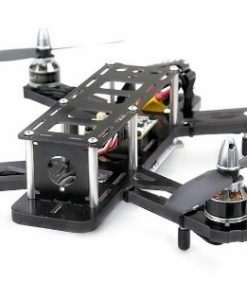 The shots are really smooth, and flying the line couldn’t be easier. 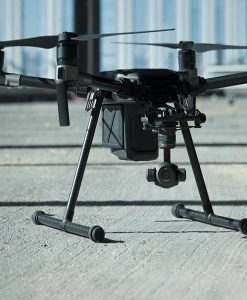 Also, because the landing gear is up and out of the way, you don’t need to worry about vehicle orientation, just operate the camera and shoot. This mode requires a second, smaller, special-purpose controller called the Wizard. 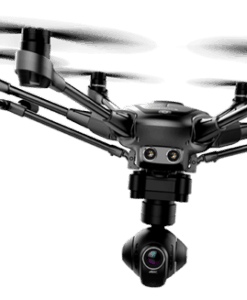 The holder of the Wizard flies the drone, while the main controller is used to operate the camera. 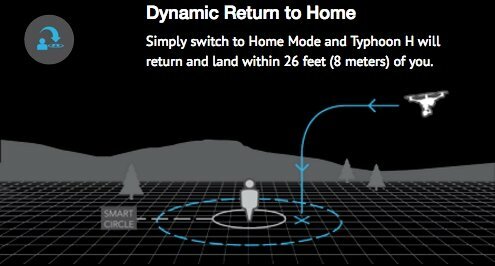 The Wizard can also be used as a Follow-Me beacon, which the Typhoon H will automatically follow around. This is perfect for covering racers and outdoor action. 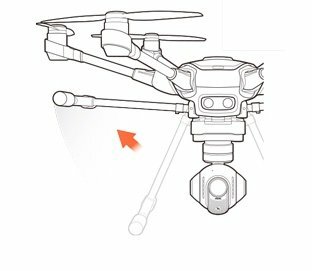 The best video walkthrough of the Typhoon H I’ve found so far is from Drone Gear. If you’ve got 13 minutes to spare, it’s worth your time.